There is nothing better than spending an afternoon creating cards with rubber stamps. Heaven on earth. A cup of coffee with this helps add even more to the experience. Welcome to the NC Demos Blog Hop! This is my first one so I hope this will go well. The theme for this month is Cute Critters and as a Mom to 4 rescue dogs and one cat I know cute critters even when they are not so cute. I decided to do a simple card and one that can be done quick and easy in any class setting. May even add this to one of my classes. Whisper White cut 5 1/4 x 4 and this was going to be my background. There are so many cute little stamps in the Nine Lives set that I planned to use them as my background so I took my D block and arranged the ball of yarn, the bow, the hearts, the mouse and the goldfish in a cute pattern inked them and stamped them all at once on the background if I had a space the felt off I took the paw print from the Happy Tails stamp set and filled it in. I then attached this to the card base. 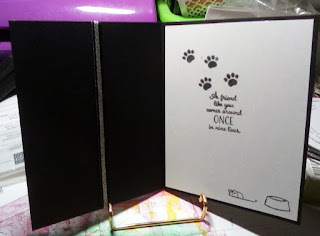 For the inside I took another piece of Whisper White 5 1/4 x 4 and again using black ink stamped the Salutation in the center, the food dish and the mouse in the lower left and to even it out added 4 paw prints to the upper left. Attached this to the inside. 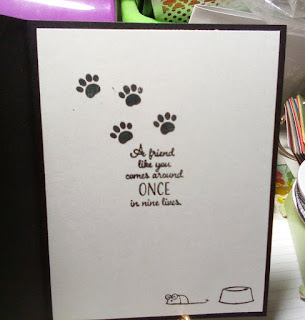 I then took a scrap piece of white and in black ink stamped the kitty cat. I decided to leave him plan because not everyone has the same cat. I used the cat punch to cut him out and put him off to the side. I tied a piece of the Black/Silver Stitch Metallic Ribbon to the front center of the card and tied a bow. I then took a piece of Basic Black cardstock and cut it 2 1/4 x 2 1/2 and layered that on a piece of Silver Glimmer paper 2 1/2 x 2 3/4. 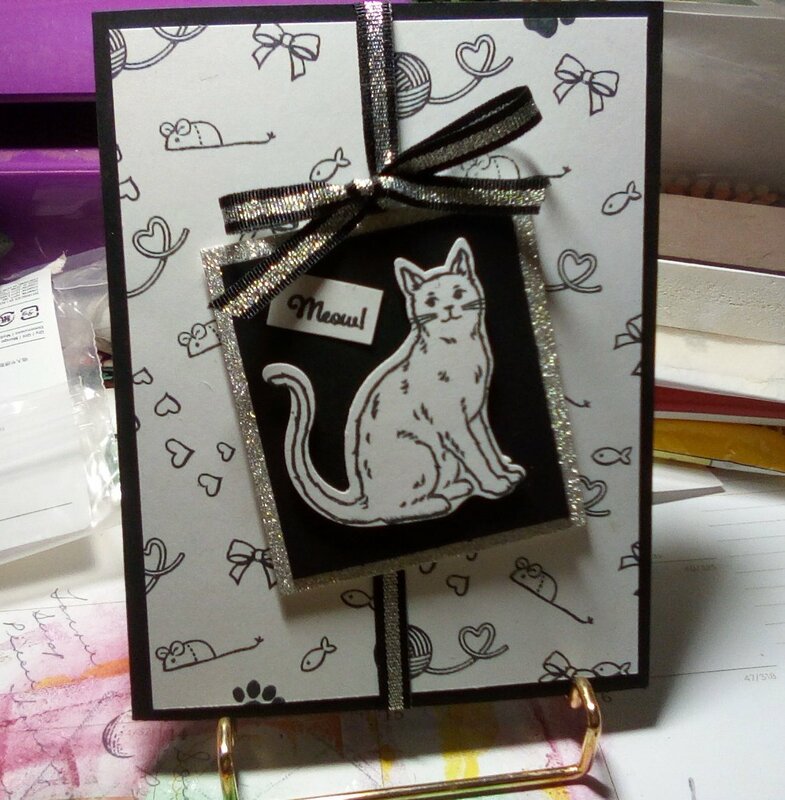 I put the cat in the center using dimensionals and put this piece on the card under the bow and on a angle using dimensionals again. To finish the card I stamped the meow in black on a scrap of white cut it out and put it close to the cat. This is my tribute to all those adore able Cute Critters out there. Well, I think you are off to a great start! That card is just darling. And I love your idea for making the background. I would have stamped each image one at a time...duh! Your idea is SO much better :) Thanks for joining the group this month and hope to see you going forward! Tina, you did a great job! Love your card. Super cute and could be used for lots of occasions. Thanks for sharing! Tina, cute card. Thanks for joining us this month. You did it! I'm so glad you joined the hop! Your little kitty is so cute. That ribbon is perfect with the rest of the card. Love the little bit of bling. Thank you so much. It was fun a few glitches at first but loved it. Tina, I'm glad you joined the blog hop. Looking forward to seeing more cards from you. Your kitty is one of my favorites! 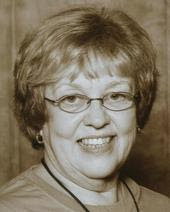 I am an Independent Stampin' Up Demonstrator in Granite Falls NC. I love what I do and I love sharing it with others.